To implement video in your education the TU/e provides a recording studio facility. 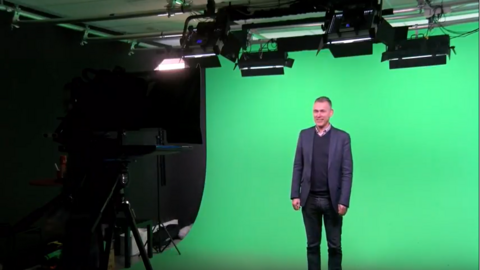 The studio is equipped with professional camera’s, greenscreen and lighting. For your purposes also recordings on location belong to the studio facility and equipment. All projects or short recordings will be assisted by a trained operator, who will guide you through the whole process. The recording will be edited by the operator to your wishes. A recording is only ready when it fulfills to your satisfaction. The studio works closely with the ESA teacher support team for the educational guidance to blend your education. On request you are always welcome to visit the studio informative or for a free try-out.